Bhavika Bio Chem, is a well-established organization in Maharashtra, India. Currently, the company is working as a Manufacturer & Supplier from two manufacturing sites. Major product categories offered by us are Housekeeping and Home Cleaning Products. 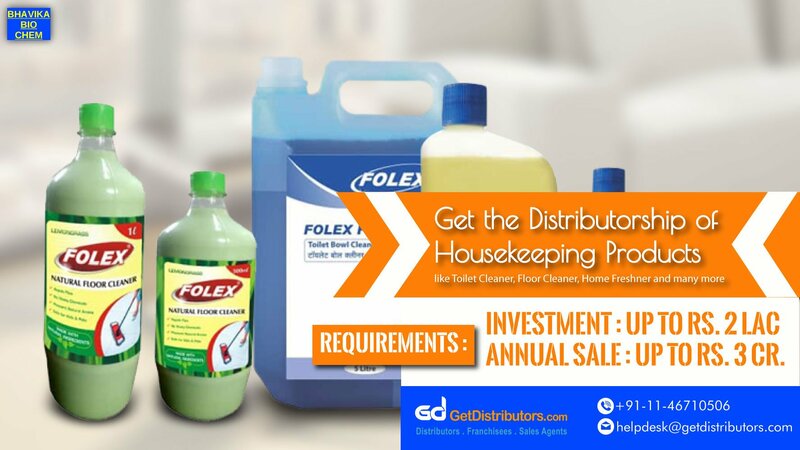 The products offered by the company include Floor Cleaning, Toilet Cleaning, Home Freshener and Hand Wash. We are looking for people and organizations who are intending to become our distributors. This is an ideal business opportunity for those who want to flourish in the same sector.